Home » Uncategorized » Check out our updated website! We’re here to make your user experience easier for you. Our site has been updated to reflect how easy it is to use our site, including our transparent pricing page! 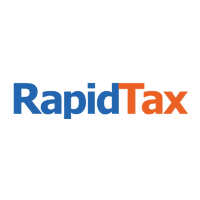 You can also take a look at our Tax Tools section to locate our Tax Blog. We keep you updated on what’s happening with current tax changes by reading our blogs on the Tax Cuts and Jobs Act. First, we know that filing your taxes can time consuming. Rather than going to visit a tax accountant who charges hourly for your tax return, finish your taxes online with us in just 10 minutes. We accommodate your tax situation from one income statement to complex returns with numerous expenses and multiple tax forms like Schedule C, Schedule K-1 forms, and more. If you’re thinking about giving us a chance, click the blue button below to explore what we offer. Take a look at our DIY business section if you have a partnership, s-corporation or c-corporation to file your business taxes. You can even opt to have a CPA review your return. You can arrange a one-on-one phone consultation with a CPA at your convenience. Thank you for choosing us for your tax needs. Happy Thanksgiving and Happy Holidays! Don’t forget to prepare your tax returns (going back to 2005)! Previous PostPrevious The Holidays are Coming and so is the Gift Tax! Next PostNext How the government shutdown affects your taxes.